From the Red Sea to the Indian Ocean, Sportif offers you a varied choice for your next diving holiday. Choose from the list of worldwide regions below to view your next holiday destination. If you need further help please do not hesitate to contact us we are here to help you. Our Africa programme encompasses Cape Verdes off the East coast to Kenya and Zanzibar. All first class dive holiday destinations with interesting and varied diving. 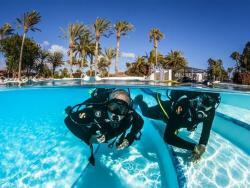 Choice of hotels & centres for Learn to Dive to technical, groups or liveaboards. Canary Islands diving holidays to Lanzarote and Fuerteventura from Canary islands specialist diving holiday company Sportif. Flight inclusive hotel learn to dive holidays with daily boat diving from PADI, SSI or CMAS dive centres. 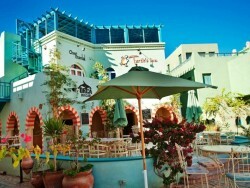 The Caribbean has something to offer everyone and one of our most popular dive holiday regions after the Red Sea. For many, the Caribbean epitomizes luxury in an idyllic setting, for diving holidays it offers much more with a wide choice of dive resorts perfect for all. Australia & the Far East is home to some of the world’s most exciting and sought after scuba diving and perfect diving holiday locations. Visit sites that haven’t changed since the dawn of diving to glide along some of the most picturesque and impressive walls and distant coral seas - dive holidays dreams are made of. The Maldives is diving holiday heaven. An Indian Ocean scuba diving holiday, where exciting marine life abounds, is best summed up by the sheer quantity and size that can be seen. We have selected the widest range of hotels, liveaboards in the Maldives, exotic Mauritius and hideaway Rodrigues island. Central and South America offers a wonderful variety of spectacular diving. Visit the mystical Blue Hole in Belize and the 185 mile long reef second only to the Great Barrier Reef in Austalia. Experience Whale Shark encounters off Utila in the Honduras or dive with the Giant Mantas and Hammerheads off Cocos Islands. The perfect locations for a world class dive holiday. Book your next Mediterreanean scuba diving holiday liveaboard to Malta, Gozo, Comino or Cyprus with Mediterranean scuba diving holiday specialists, Sportif Dive Hoildays. Micronesia and the Pacific offers those wanting an waters for the exploratory diving holiday. Meet unique and rare marine creatures and dive sites of unsurpassed beauty that will leave memories for a lifetime. Dive holidays in Micronesia are famous for the chance to see World War II wrecks. The Red Sea coast of Egypt offers some of the most amazing year round conditions all types of diving holiday both shore based or on one of our specially selected liveaboards. Red Sea dive holidays offer the best value and are perfect for non-divers too.